If you're never able to find the right lid for the right bowl, Charles Viancin knows how you feel. 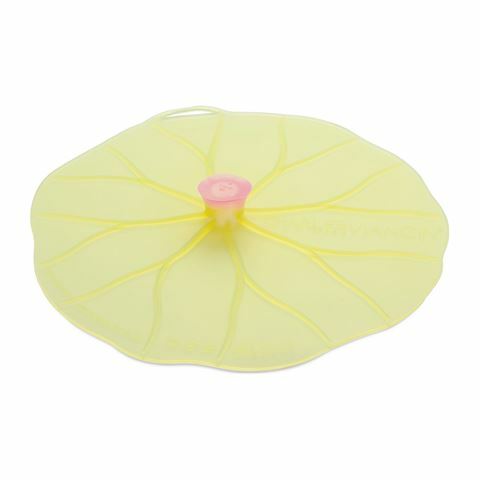 That's why he created the Lilypad Silicone Lid. This incredibly clever (and really cute) little green lilypad creates an airtight seal on any round smooth-rimmed bowl or pot, whether it's made from glass, ceramic or even wood. Forget turning the kitchen upside down trying to find the right lid - and forget tangling yourself in glad wrap. If you're knee-deep in storage problems, this lilypad is the solution. Made from food grade, BPA-free silicone, which is heat-resistant to 220°C. Creates an airtight seal on any round, smooth-rimmed bowl or pot, whether it's made from glass, ceramic, wood and more. Safe to use at high temperatures - you can even use it as a saucepan lid to retain steam during cooking. Diameter: 21cm - suitable for 17.5cm bowls.